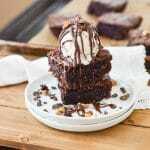 Home » Brownies » The Ultimate Gluten-Free Vegan Brownies! Looking for thick, fudgy and super simple to make Gluten-Free Vegan Brownies that are also egg free, oil free, Paleo? Trying to get someone (kids, spouse, friends or yourself?) to eat more vegetables? Here’s an easy gluten-free, dairy-free, egg-free brownies recipe especially for you. Later in the post, I share all the best tips for success, plus the printable recipe. 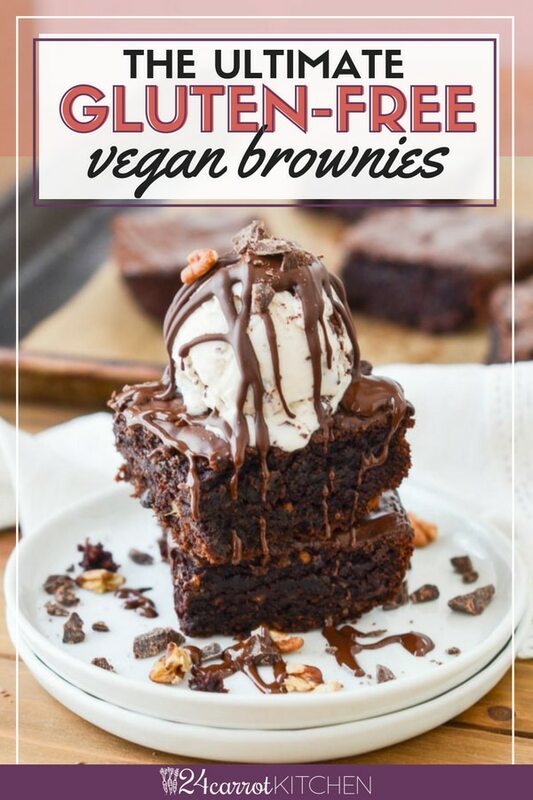 Try these flourless sweet potato brownies with your favorite dairy free ice cream and chocolate ganache icing! All ingredients get mixed up in a bowl, spread into a prepared 6 x 6 baking pan. I use a Corning Ware pan and sometimes an 8 x 5 glass loaf pan. All ingredients get mixed in a bowl, small food processor or with an electric mixer. 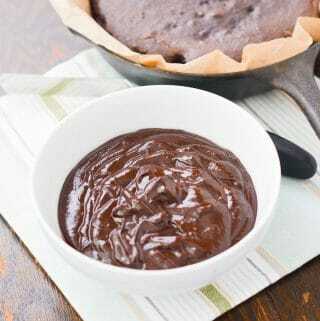 Pour the brownie batter into baking pan and smooth the top. 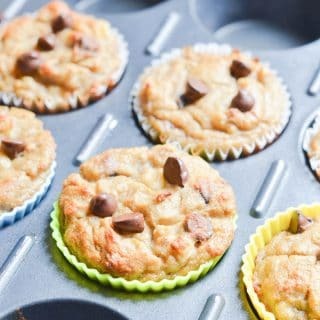 Sprinkle with a few tablespoons of chocolate chips or wait until baked and cooled and spread chocolate ganache icing. Bake for 35 minutes until toothpick comes out clean. Let cool for 10 minutes before slicing. 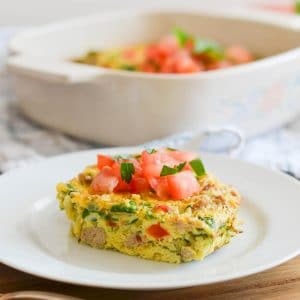 This recipe is so easy and such a favorite that it gets made often at my house, all year round. FAQ: Do these brownies taste like sweet potatoes? In my opinion, No! They taste just like fudgy brownies. Sweet potatoes are a healthy, delicious food and the texture works perfectly for this recipe. make a great mid-afternoon snack, for kids or adults. Oh, what a great gift for your grain, gluten, and dairy free friends! lately, I have been using organic Japanese sweet potatoes (also called Japanese yams) in this recipe. Fairly widely available in the grocery stores, they have a dark red to a purple exterior and a creamy ivory interior. I find they have less moisture than orange sweet potatoes. Both varieties work in this recipe. Make the sweet potato puree ahead and freeze 1/4 cup portions in silicone molds. Or, because I find it easier, my latest technique is to make the puree in my kitchen aid mixer, then use a 1/4 cup measure and scoop onto a parchment lined baking sheet. Freeze and then place balls/scoops in a plastic freezer bag. Just take out scoops of puree, thaw and use in the recipe. 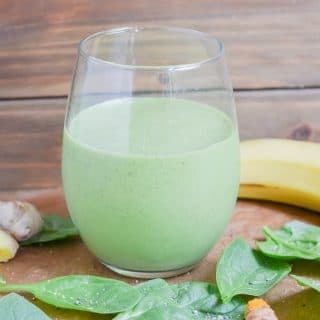 My Favorite Almond Butter works well in this recipe as well as most store-bought creamy almond butter. Store leftover almond butter in the refrigerator. Make the batter ahead! I have been known to make two batches and bake one and refrigerate the other for …..drumroll….. baking the next day! Ha! 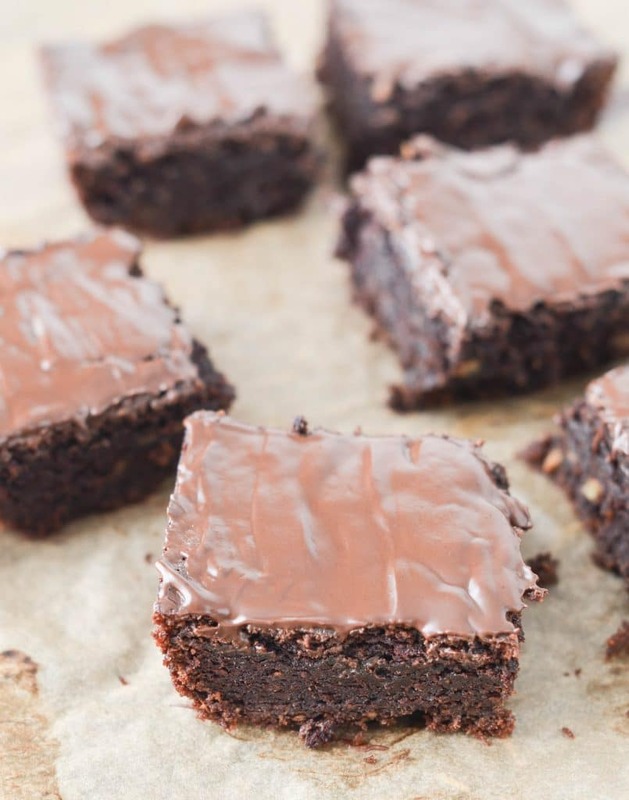 These delicious brownies make a great mid-afternoon snack, for kids or adults. I love guilt-free treats! Chocolate Brownie Tarts – great for entertaining. The brownie batter fits perfectly in two 3″ porcelain tarts. Spray a little coconut oil for nonstick and the baking time is 25 minutes. Let cool and the brownie tart should easily come out of a tart pan. One large brownie cookie – Sometimes I spread the batter thinner and rounder on the parchment paper for a large cookie which I cut into pie size pieces. Love the crispy edges! Any way you bake them, you will love these sweet potato brownies. Plus, getting loved ones to eat more vegetables while having dessert is always a win. 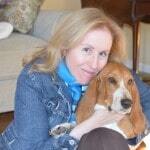 Be sure to sign up for my newsletter so you’ll hear about new recipes right away! 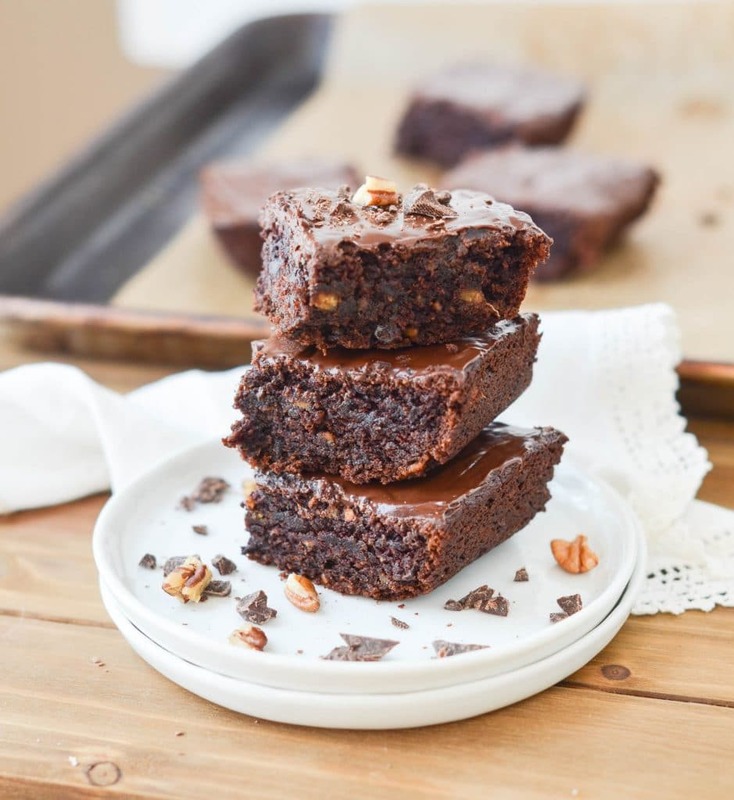 Looking for delicious, gluten-free vegan brownies that are fudgy, Paleo and dairy-free? 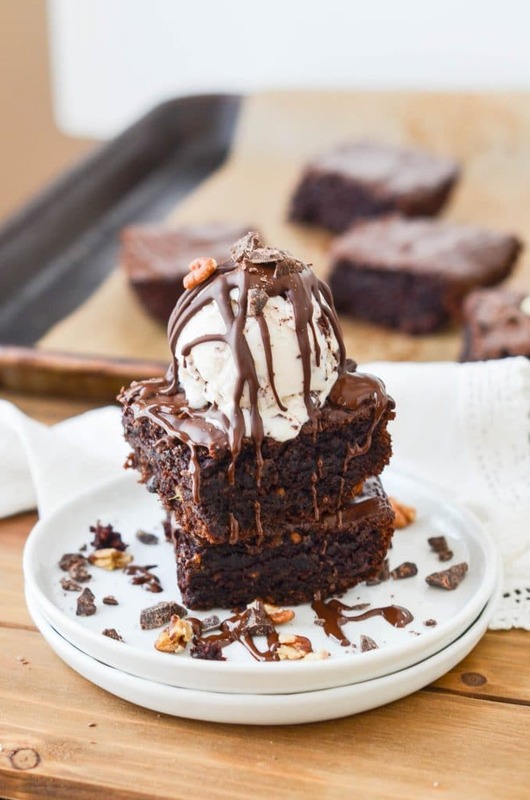 You will love these brownies. 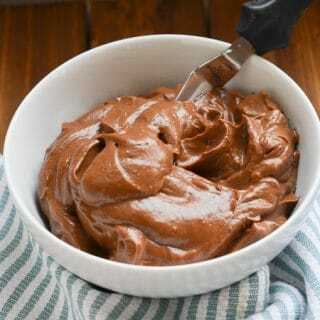 Enjoy with or without dairy free chocolate ganache icing. In a medium-sized mixing bowl, add all the ingredients and mix well. 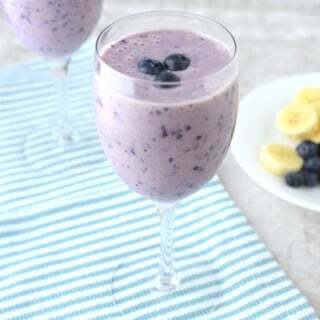 An electric mixer or small food processor also works well for mixing. Note: If the cacao powder is clumpy, whisk it well or use a small food processor to make a fine powder. The batter is sticky and solid. Toss in chocolate chips and stir well to combine. Note: if using dairy-free ganache icing, you may wish to leave the chips out. Pour batter into the prepared baking dish and spread until smooth. I have also made these in two 3 " porcelain tart dishes (spray with coconut oil and 25 minutes baking time). 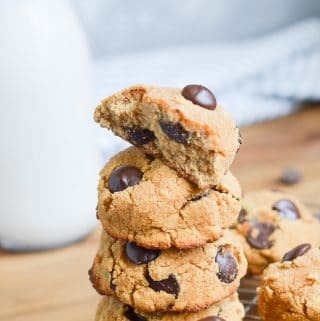 Tip - Optional: Add a few (one tablespoon) of chocolate chips to the top. Yum! looking brownie. Bake for 30-35 minutes until cooked through. Best to wait until cooled to slice into brownies. Makes about 6 brownies. Tip: Also works well in an 8 x 4 loaf pan. Same baking time. 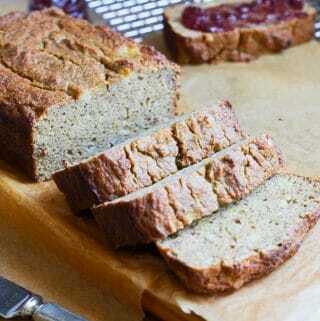 Previous Post: « How To – The BEST Gluten Free Blueberry Scones! Absolutely delicious!! They taste similar to flourless chocolate cake without all the sugar or fat. I ate them with a strawberry/rhubarb chia pudding, and the combination was fantastic. Thanks so much for a great recipe-will be making it again. Thank you Sarah! So glad you like these brownies!